U.S. President Obama, Vice President Biden, and Secretary of State Kerry gave Latin America increased priority in 2014, including at least two efforts to open channels to countries previously off their calling lists. Issues combining domestic politics and foreign policy– such as immigration, Cuba, and drug policy – saw noteworthy breakthroughs. President Obama’s highest profile action was his announcement in December that the United States and Cuba would normalize relations. He said he would travel to Panama in April for the Summit of the Americas – the venue of his pledge to seek a “new beginning” with Cuba in 2009 and his isolation over the Cuba issue in 2012. Last May, his trip to Mexico and Costa Rica, where he met with Central American presidents, signaled a shift on counternarcotics strategy – downplaying militarized efforts – in response to the region’s concerns about surging violence. His November announcement of executive measures on immigration, offering temporary legal status to millions of undocumented migrants, also steeped him in Latin America policy. 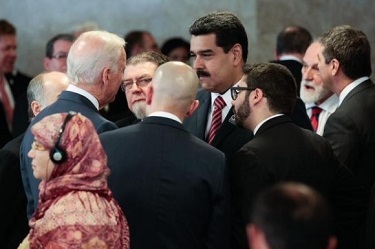 Vice President Biden greatly expanded his Latin America portfolio, at times as stand-in for Obama but also putting a deep imprint on policy. On an extended trip in June, he met with heads of state during the World Cup and attended a summit in Central America. In November he participated in a followup meeting with the Honduran, Salvadoran, and Guatemalan Presidents hosted by the Inter-American Development Bank, where he announced U.S. measures to prevent another crisis involving migrant children as was seen last summer. He met with and telephoned Latin American Presidents more than a dozen times over the year and, on the margins of Brazilian President Rousseff’s reinauguration last week, even met with Venezuelan President Maduro, with whom he agreed that it was time to restore ties. Secretary Kerry traveled to the region several times – to Mexico, Panama, Peru, and Colombia – and met with Latin American Presidents and foreign ministers in Washington. Some critics judged his broad policy speeches as unexciting, but he clearly has confidence in his Latin America team, and sources say his support for the President’s initiative on Cuba was strong. We Latin America watchers in Washington tend to complain that our region doesn’t get enough attention, but it’s clear that the Administration’s level of engagement in 2014 was deeper and more sustained than in years past. Senior advisors at the National Security Council, Vice President’s office, and State Department – Ricardo Zúñiga, Juan González, and Assistant Secretary Roberta Jacobson, respectively – got their bosses’ to act despite the many competing demands in other regions occupying the front pages of U.S. newspapers. Several ongoing processes promise continued senior-level attention in at least the first half of the new year. The normalization process with Cuba could entail a visit there by Secretary Kerry, and preparations for the Summit of the Americas in Panama in April afford opportunities to give momentum to U.S. engagement – in addition to rebuilding U.S. credibility in the Summit process lost at the Summit in Cartagena in 2012. Continued political crisis in Venezuela, nose-diving oil prices, progress in the Colombian peace talks, and the ever-evolving drug threat suggest 2015 will also be a challenging year. For now at least, Washington’s senior team is engaged. President Obama’s long-awaited executive action on immigration has finally happened – with the anticipated political fireworks – and will benefit more than one third of the country’s undocumented persons. It is premature to offer predictions regarding how the dynamic will play out between a White House wounded by electoral losses last month and an emboldened Congressional opposition. We can, however, take stock of who the administration’s measures have and have not affected. Between 4 and 5 million people, a majority of them originally from Mexico, will be able to apply for work permits and secure protection from deportation for three years if they have been in the U.S. for five years or longer and have children who are either U.S. citizens or authorized residents. The executive action is no modest change in policy, but it contains little good news for large numbers of undocumented persons and no good news for those his administration has already deported. For the 250,000 U.S. citizen children whose parents have been deported over the past six years, it provides no comfort; there is no provision for the parents to return to raise their kids here. Nor did the President’s measures offer more permanent relief to the roughly 280,000 Central Americans who have resided in the U.S. with Temporary Protected Status (TPS) following natural disasters in the region during the late 1990s and early 2000s. Beneficiaries of those provisions will continue to pay roughly $500 every 12-18 months to renew their status. Other populations who have been here for well over a decade as stable members of the community also remain unaffected by the reforms. No matter how long they have been here nor how good they have been – law-abiding, tax paying, churchgoing or generally nice – they will not be eligible for relief if they do not have children. The administration’s action was strictly cast as a family-focused initiative, and family, in this instance, means children with authorization to be in the U.S. Spouses do not count. 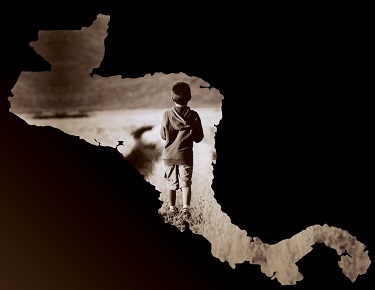 An important new population of migrants was also left out of the reform: the unaccompanied children, largely from violence-torn countries of Central America’s Northern Triangle, whose surge across the border received great media attention during the summer of 2014. Indeed, the president’s speech to the nation made no mention of that humanitarian crisis and made clear that those who come across now should expect to be deported. 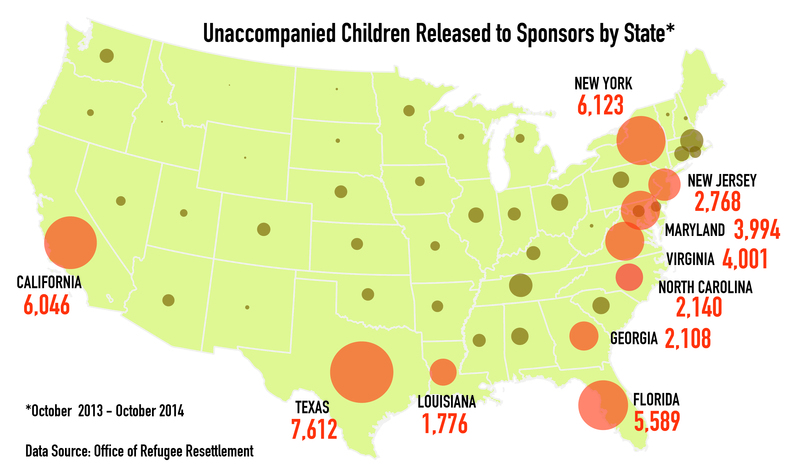 The 68,000 children who trudged across the border during this fiscal year remain in limbo. According to data from the Department of Health and Human Services’ Office of Refugee Resettlement, over 55,000 have been placed with immediate or extended-family sponsors in the U.S while their removal cases are pending in immigration court. 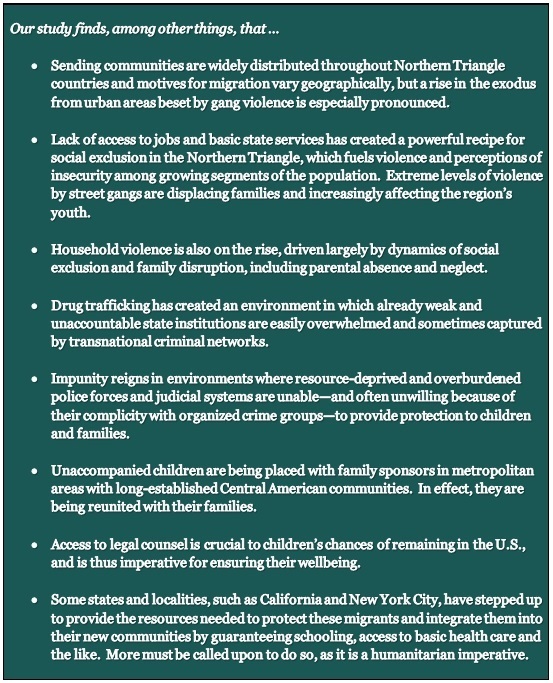 Metropolitan areas with long-established Central American communities have witnessed the largest influx of unaccompanied children. The Baltimore-Washington metropolitan area alone, for example, received approximately 6,500 unaccompanied minors during the past fiscal year. Once placed in sponsor care, these kids’ prospects for remaining in the U.S. – and their well-being while awaiting a court decision – are largely dependent upon local-level policies. While the Obama administration has taken limited steps in recent months to provide legal counsel for these minors, funding for direct legal representation and a range of other educational, health, and social services is increasingly coming from those state and local governments that traditionally support immigrant-friendly humanitarian programs. This support is crucial, as demonstrated by a Syracuse University study that found that 85 percent of unaccompanied children appearing in court without an attorney are ordered to leave the U.S.; with an attorney, however, a child’s odds of remaining in the U.S. increase from 15 to 73 percent. In cities such as New York, local funds are also being channeled through advocacy networks to support access to services beyond the courtroom, from mental health screenings, to vaccinations, to assistance with school enrollment. Other local communities may not follow suit, particularly in the wake of the newly announced executive action, which in the short-term will strain the already taxed resources of local governments and advocacy groups.